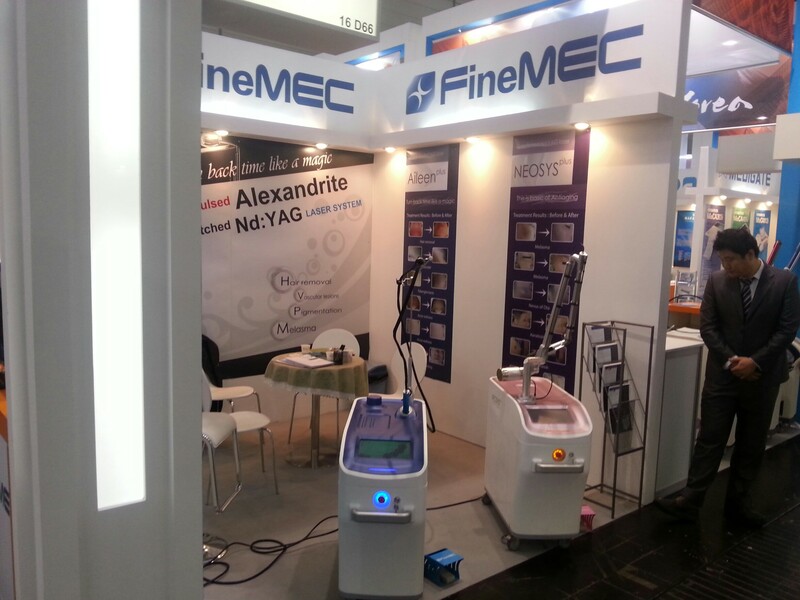 Korean medical laser device manufacturer FineMEC was shown AILEEN PLUS(Long Pulsed Nd:YAG와 Q-switched Nd:YAG), NEOSYS(MODULE Q-switched Nd:YAG) and FINE PULSE(Double filtering Intense Pulsed Light (I2PL)) etc in ‘MEDICA 2013’. Customers had special concerns about AILEEN PLUS(Long Pulsed Nd:YAG and Q-switched Nd:YAG), NEOSYS(MODULE Q-switched Nd:YAG) and the products received many inquiries from buyers of Middle East and South America during exhibition. Also FineMEC accomplished a great deal such as increasing a number of product consults in comparison to last year. 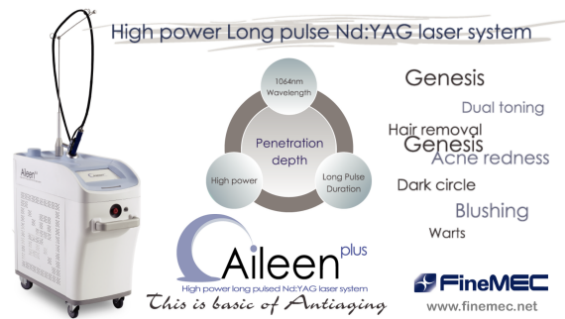 AILEEN PLUS is capable of dual toning with Long Pulsed Nd:YAG and Q-switched Nd:YAG and applicable to various lesions – hair removal, telangiectasis, hemangioma, facial flushing, pore and rejuvenation. 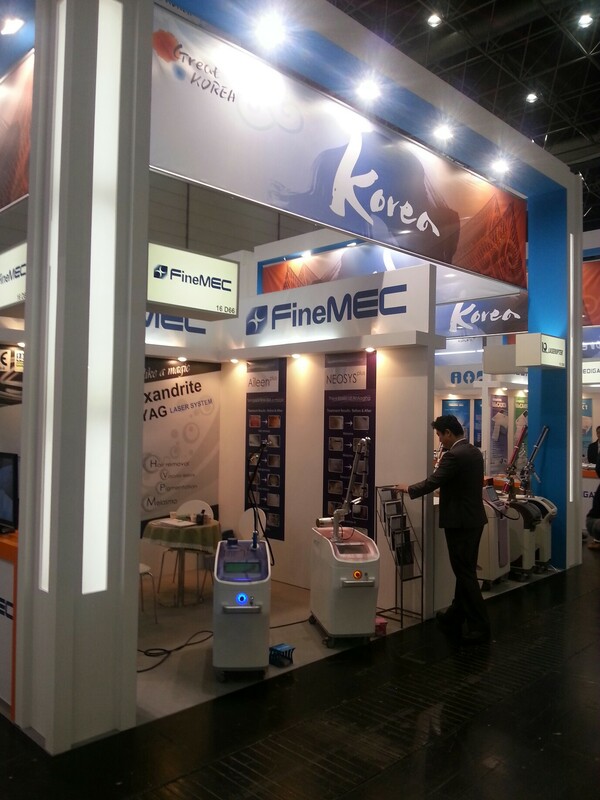 The overseas sales manager Jeon Wongil at FineMEC said that “MEDICA 2013 was very lively atmosphere in comparison to last year and gave many opportunities of consultations with customers” and “So it is optimistic about lively sales business from now on based on these results of MEDICA 2013”.